Easy Homemade Refrigerator Pickle Recipe - Ready in 24 Hours! You are here: Home / Recipes / Easy Homemade Refrigerator Pickle Recipe – Ready in 24 Hours! Easy Homemade Refrigerator Pickle Recipe – Ready in 24 Hours! Homemade refrigerator pickles are one of the easiest and fastest homemade food recipes you can make. Did you know that most of the store-bought pickles on your local grocery store shelf have polysorbate 80, yellow #5 and/or guar gum in the vinegar brine solution? Most big-brand pickles have Polysorbate 80 (an emulsifier) and artificial colors added. Which jar of pickles would you choose? Sure there are a few pickle brands that are all-natural, but they are typically very expensive. I couldn’t believe it when I saw that a jar of natural pickles at Whole Foods was $8! Really?! 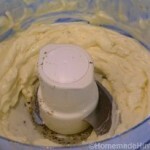 So we now make our own because like making your own mayonnaise, it’s simple, fast, no weird ingredients and costs less. I’ve tried many refrigerator dill pickle recipes and found the simple one below to be my favorite. My favorite kind of pickle are half-sours, like the kind you can find in a New York Deli. Half-sour pickles spend less time in the brine solution, have a more fresh cucumber taste and are very crisp and bright green in color. This recipe comes close to that of pickle taste and texture. Fresh Cucumbers – Ideally, use pickling cucumbers (also called Kirby cucumbers) that have smaller seeds and thinner skins. We use cucumbers we grow from our garden during the summer, but in the winter we will buy English cucumbers – they are the long narrow cucumbers usually wrapped in cellophane next to the salad cucumbers in the vegetable aisle. 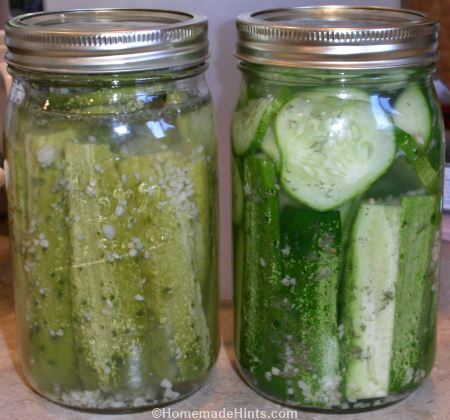 If you are just making a quart, one English cucumber will usually do or 2-3 smaller pickling cucumbers. Minced garlic – We like our pickles “Kosher” style with lots of garlic, so we use about 4 teaspoons. At minimum use 2. 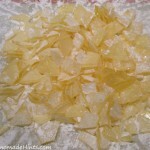 3 Tablespoons White Vinegar – We also have used apple-cider vinegar. 1 Tablespoon of Kosher Salt – You can use less or more depending on your preference, but use at least 1/2 Tbsp. Water – we use our filtered water from the refrigerator, but use what you like – filtered, distilled or even tap – but it may affect the flavor if you have very hard water. Optional Pickling Spice Additions – Peppercorns, red pepper flakes, turmeric, curry powder, bay leaves, cloves, ginger, allspice, mustard seed, coriander, cinnamon stick, mace. Because I like the fresh cucumber taste, I tend to go very basic on the spices, but experiment with different batches to see what you like. I would recommend adding your own spices individually rather than getting a pre-made “pickling spice”. This way you can adjust the proportions of each to your taste. Add the dill, garlic, vinegar, salt and any other spices to a quart jar and swirl it around a bit. Now add your washed cucumbers. Add them whole or sliced. however you like. Pack them all down in there. Now fill the jar with water to the top, leave about 1/4″ space and securely tighten the lid. Shake the jar to mix and dissolve the salt. Now place them on your counter at room temperature for 12 hours, then flip them over and let them sit for another 12 hours. This is why you want to make sure your lid is on tight. Just as a safety precaution, I always leave the jar in a bowl when I flip them upside down in case of unexpected leaks. Now put them in the refrigerator, chill and enjoy! We make a couple of quart jars of refrigerator pickles at a time. One jar we eat right away, while the other brines a little longer for a stronger, pickled flavor. Note: These are not “canned” pickles that require sterilizing of jars and lids. These pickles are to be refrigerated and will last several months – but they never do in our refrigerator, because we eat them too fast! They’re just so easy to make, so we only make a jar or two at a time. You can also reuse the vinegar brine solution for your next batch. Just add a little more vinegar and water to make up any solution loss. Note: The bacteria, Listeria monocytogenes, can survive and grow in refrigerator pickles. Take these precautions detailed at the FDA, especially if you are included in one of the at-risk groups listed. If you like sweet pickles, then here is a video that shows you how to make refrigerator bread and butter pickles with no heating involved. I once made a similar batch of such pickles (I think it was an Alton Brown recipe) and they were good, but I still like my dill, half-sour pickles best. Of course you can use this vinegar brine solution to pickle other vegetables besides cucumbers like carrots, peppers, beets, cabbage, summer squash, green beans, okra, pearl onions, green tomatoes and more. What do you like to pickle? Any special spices or additions you like to add to your brine? Tell us in the comments! I was super excited to find your recipe. 🙂 I made my first batch of pickles a few days ago. I haven’t tried them yet but I was just recently informed about the “dangers” of refrigerator pickles (mostly concerns about listeria because they are only partially fermented and don’t contain much vinegar). Have you heard anything about these concerns? 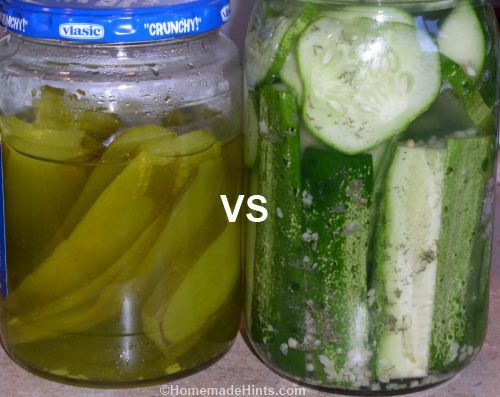 Jenny – Yes, Listeria monocytogenes, can survive and grow in refrigerator pickles – really any food that is open and stored in your refrigerator can have Listeria. To reduce your risk, the FDA recommends that your refrigerator is kept below 40 °F (4°C) or below. Most healthy individuals’ immune systems can deal with low levels of Listeria, but those at risk should avoid refrigerator pickles such as pregnant women and their unborn babies, newborns, older adults, and other people with weakened immune systems (such as those with HIV/AIDS, cancer, diabetes, kidney disease, and transplant patients). There is conflicting information regarding storage time and Listeria growth. Several sources say that the bacteria grows in greater numbers over time – so the longer you keep your pickles in your refrigerator, the more Listeria will populate. However, this study found that the although Listeria grew in the pickles while left out at room temperature (they left them out for 7 days), the bacteria declined on the surface and interior of the pickles the longer they were kept in the refrigerator, with the lowest amounts being recorded after 90 days. Long story short – so yes, there are dangers of Listeria growth with refrigerator pickles. Many people, including myself, have been eating them for years without any problems, but I cannot guarantee you won’t. You may want to read this from the FDA about “Reducing the Risks of Foodborne Listeria”. Thank you so much for your reply! 🙂 I do plan on enjoying the pickles I made using your recipe. I just wanted to be a little more educated on the topic in the event I share this recipe with anyone else. The information you shared was very helpful. 🙂 thanks again! Thank you for your reply! 🙂 The information was very helpful! 🙂 I tried my pickles today and they are delicious! 🙂 Thanks for the recipe! Are you using quart or pint sized jars for the dill pickle recipe? I really can’t tell and it doesn’t say and I don’t want to over or under spice. Thank you! Jill – Quart jars. I will edit the directions to make it more clear. Thanks. Thank you for answering my question. That’s what I figured and went ahead and made some and they are gone already!! 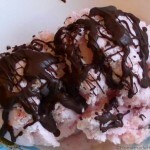 Excellent recipe and so easy and quick to make! My mom, who used to help her parents make pickles many years ago, couldn’t believe it was so easy compared to how they used to do it!! Absolutely delicious! Glad you liked them. It’s nearly impossible now to find pickles in the store without either polysorbate 80, carrageenan, yellow food coloring, etc.. or if there is a brand of all-natural pickles, they’re really expensive, like $9 a jar at the Whole Foods. Natural, simple, and cheap is our favorite combination for a recipe! I love your recipe! Made these pickles for the first time this summer with my homegrown cuke surplus, and they were delicious. We’ve experimented with spices and now add coriander seeds with great results. Am doing a bbq theme Thanksgiving and your pickle recipe will have pride of place on our table. Thanks for the good recipe! Glad you like the recipe, Alice. I haven’t strayed far from the basic recipe because I like it so much, but may try to experiment with the coriander next time. 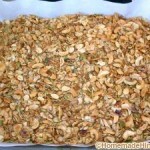 How much coriander seeds do you use when making a batch? About the same amount as whole black peppercorns. And because of how I was spicing the turkey this year, I actually omitted the dill. For each jar I used vinegar (your recommended amount) and about 1 tbs of black peppercorns, kosher salt, and coriander seeds; and 1 tsp of red pepper flakes. No leftovers. This summer, w a bumper crop of rosemary I added a few sprigs to a batch…big mistake, way too flowery.